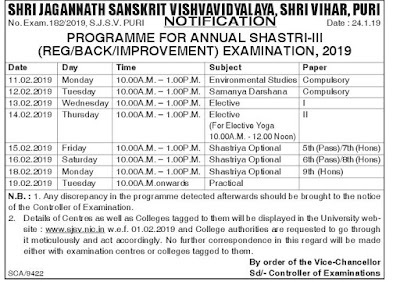 Shri Jagannath Sanskrit Vishvavidyalaya Shri Vihar Puri Published Programme for Annual Shastri-III (REG/BACK/IMPROVEMENT) Examination-2019. Now Candidates Can Check their Exam Schedule for Shastri-III Exam. 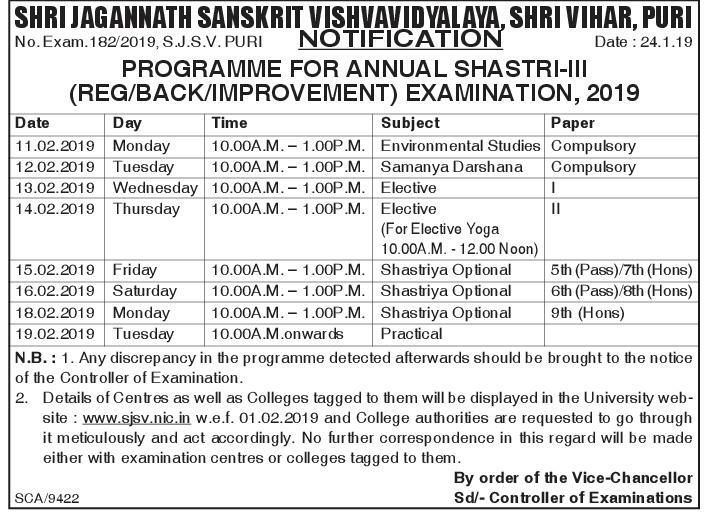 Exam Will Starts from 11.02.2019 Onwards. Now Candidates Can Check their Exam Dates. Exam Will Held As Per Schedule.